This is a healthy milkshake perfect with breakfast. My family loved it and enjoyed the tasty milkshake. And the good thing about this shake is: no extra sugar added. 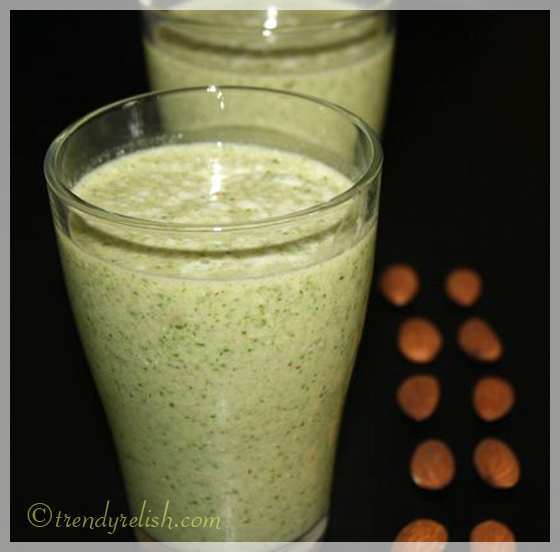 First add almonds + bananas + spinach to a blender jar and run blender until they become smooth. Then pour milk and run the blender until all the ingredients blend well. Filter to remove any excess pulp and pour into individual glasses. Enjoy this delicious and healthy shake with your favorite breakfast. 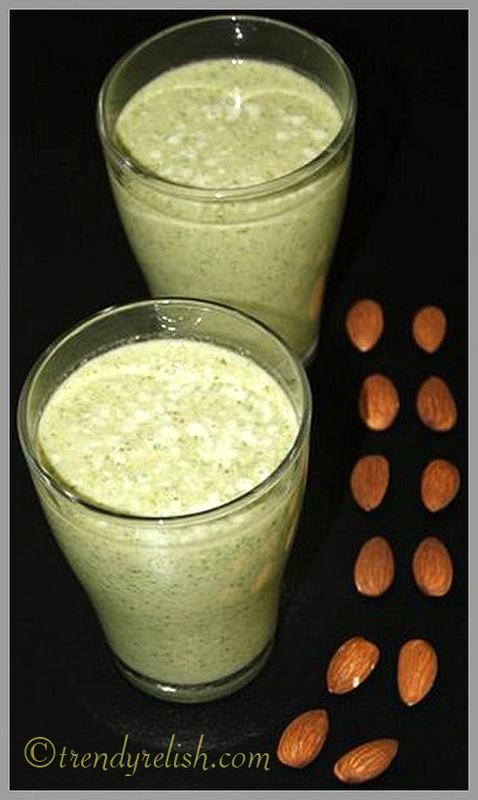 Healthy shake, with almond and spinach. Very healthy and tasty shake. Excellent recipe. Omg, shake looks super healthy,filling and unique.. Spinach in a shake.....that's unique. wow, that sounds very very healthy !!! OMG... What a tempting recipe.. lovely presentation dear..